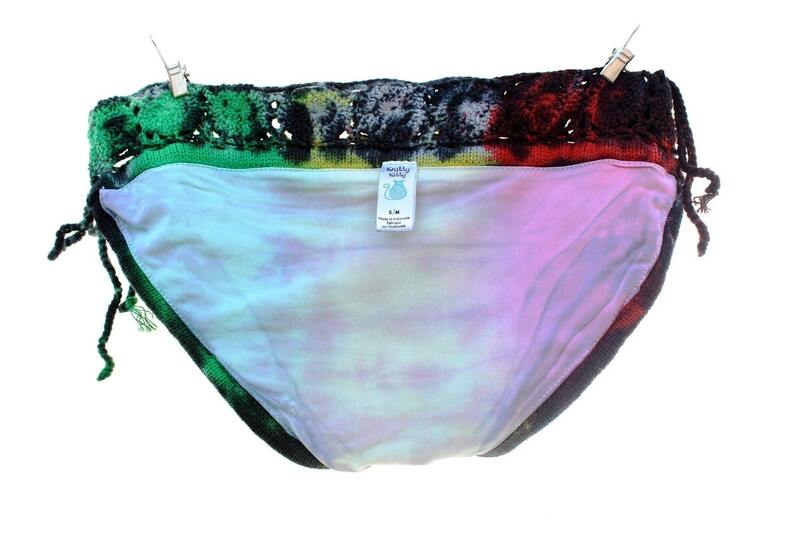 These crochet bikini Trippy hippy bathing suits are designed by Knitty Kitty and dyed by me! 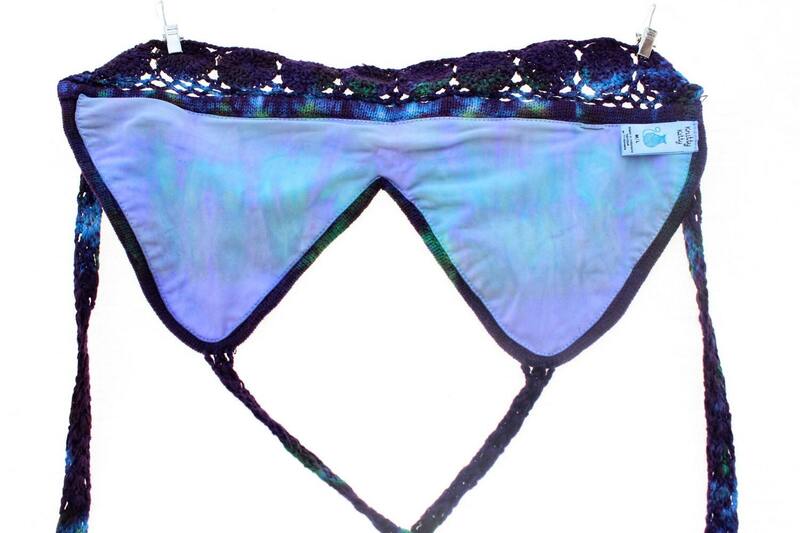 They are very high quality and lined with Lycra bathing suit material for added coverage. The crochet weave is tight so they will hold up over many uses!